On January 28, 2016 the Lord Jesus called Lila Ann May to share His glory in heaven. Lila was born October 10, 1929 to Dee Andrew and Mamie Anna Blooding in Eads, Colorado where she went to school. In 1946 she married Harold Kregar and was blessed with five children. After Harold's death in 1989 Lila married Rev. Douglas May in 1994. Both the Kregar and May families met in 1959 in Leadville, Colorado at Good Shepherd Lutheran Church. After their marriage at Grace Lutheran Church, Cheyenne Wells, Colorado they made their home for a short time in Los Lunas, New Mexico before moving to Socorro, New Mexico in 1996. She leaves to mourn her passing, daughters Bonnie Robinson of Colorado Springs and Brenda Butcher of Gaithersburg, Maryland. Lila is also survived by six grandchildren and 10 great grandchildren, numerous cousins, nieces and nephews and her husband Rev. Douglas May of Socorro. Lila is preceded in death by her parents and step father John Swanner, brothers Neal and Floyd Blooding and son's Anthony and Jarold Kregar and daughter Constance Briggs. In 1973 Lila finished the Practical Nursing Class at Saint Luke's Opportunity School in Denver and worked at St. Luke's for a time. After Harold's retirement in 1977 Lila and Harold traveled over a period of some ten years with Laborers for Christ helping congregation's build churches in Kentucky, Louisiana, Oklahoma, Kansas, Colorado and Navajo and Cedar Crest, New Mexico. Lila found joy in quilting and the friends she made through this activity. Reading, gardening and canning also brought her a great deal of satisfaction. Lila was baptized and confirmed at Trinity Lutheran Church in Kit Carson. Lila was deeply appreciative of God's mercy, especially Christ's forgiveness and the friends at church. 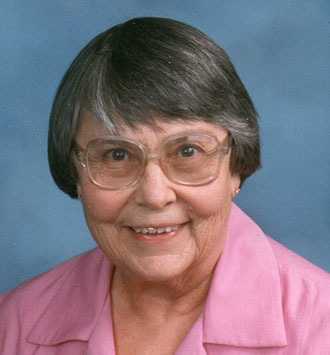 Wherever she lived she was an active member of a Lutheran Church-Missouri Synod congregation. Lila was a member of Christ the Lutheran Church, Los Lunas, New Mexico. After Lila married she lived in Cheyenne Wells, Leadville, Fountain and Denver in Colorado and in New Mexico, but her roots were always in the rich soil of Colorado's eastern high plains. The funeral services will be held at 10:30 AM, Thursday, February 11, 2016 at Grace Lutheran Church, Cheyenne Wells, CO followed by the committal and at Fairview Cemetery in Cheyenne Wells. Visitation will be held one hour prior to the service at the Church. Arrangements were under the direction of Love Funeral Home in Cheyenne Wells, Colorado. Dear Dietitian – What is listeria?